Let’s go back in time to really understand how far Silver Oak Cellars has come. In the early 1970’s, Justin Meyer and Ray Duncan decided to launch a winery dedicated exclusively to making Cabernet Sauvignon, a bold move. At this time, varietal wines had not yet become a reality in the United States. Most American wines were generic (Chablis, Burgundy and Vin Rose) or fortified wines (port, white port, tokay, muscatel). Serious table wines from California were not yet a reality. The French owned the market (Bordeaux, Burgundy, Beaujolais, etc.) So who are these renegades to create a winery dedicated exclusively to Cabernet Sauvignon? They were pioneers! What came first? The label or the water tower? Consumers recognize the iconic water tower on the Silver Oak label – and possibly from visiting the winery, as one sits above both tasting rooms in Alexander Valley and Napa. But alas, the label was not inspired by the water tower, in fact, it was inspired by original co-founder Bonny Meyer, who photographed upwards of 30 Napa Valley water towers. Meyer finally commissioned John Farrell, a young local artist, to create the Silver Oak label with the water tower image. The physical tower was built afterwards. Today, the marketplace can’t get enough of Silver Oak. Huge crowds descend each year on the little town of Oakville on the winery’s well-orchestrated release day. Under the direction of winemaker Daniel Baron, Silver Oak Cabernet Sauvignon continues to improve remains one of Napa Valley’s most sought-after wines. 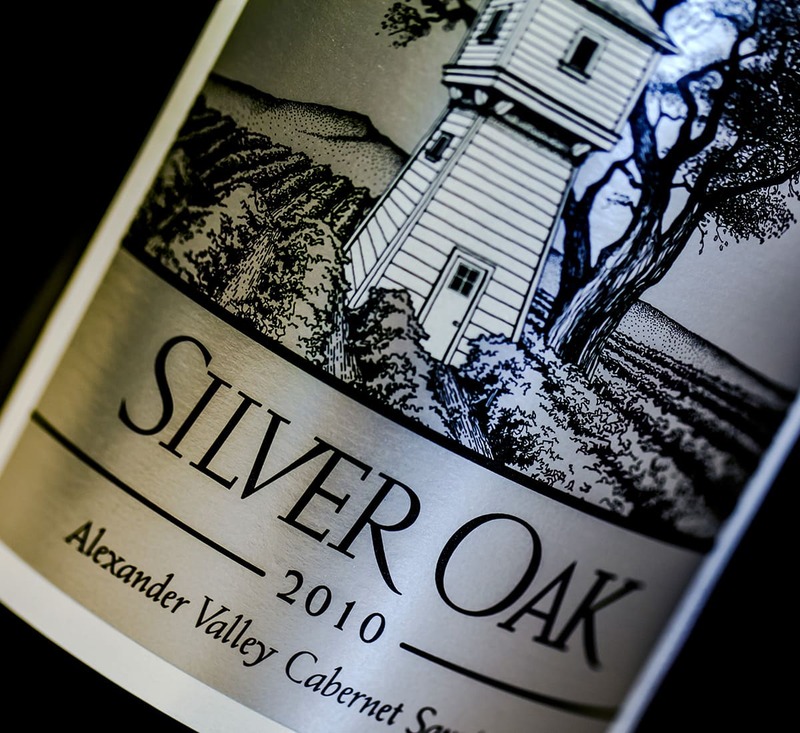 The 2010 Silver Oak Alexander Valley Cabernet serves up plenty of ripe fruit flavors, with an accent of savory herbs and a shading of sweet oak. Delicious now, especially with a highly marbled grilled rib eye of beef, this wine will enjoy development in the cellar for another 10-15 years. The winery’s chef Dominic Orsini recommends flank steak and salsa verde. Doesn’t that sound good? I am sure glad we have progressed since the 1970’s – Silver Oak Cabernet Sauvignon is a time-tested treat!